Initial evidence recovered from the part of the basement that survived the deadly East Village explosion that rocked the city last month, killing two people and injuring nearly two dozen, shows signs of physical tampering with the gas line or meters and authorities want to question the building owner's son, investigators familiar with the probe said Monday. 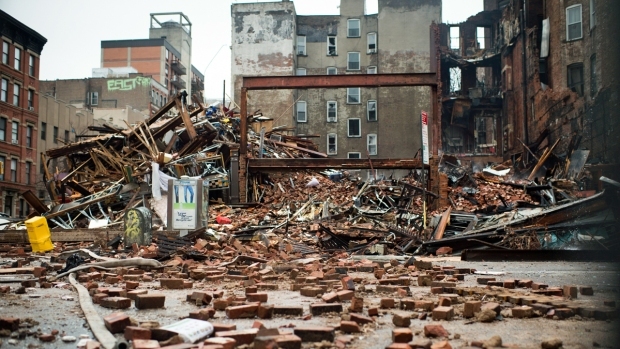 Crews combing through the thousands of tons of debris at the March 26 blast site found parts of the gas line in the rubble of the building that exploded, sparking the seven-alarm fire that spewed thick black smoke into the air and led to the collapse of three buildings, investigators said. 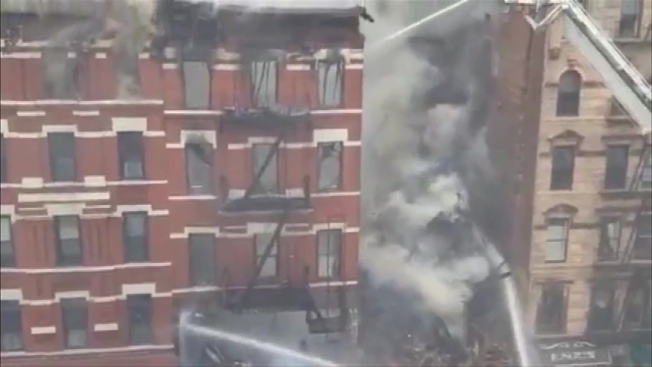 NBC 4 New York first reported nearly two weeks ago that authorities were looking into possible gas-line tampering as a cause of the blast -- a report Con Edison officials confirmed last week. The utility said authorities were looking into the possibility that someone had dismantled or hidden a siphoning apparatus from the gas line in the Second Avenue building before Con Edison workers arrived for an inspection, then attempted to restore it in the moments before the blast rattled the neighborhood. Investigators say they are taking a hard look at the son of the building owner, who allegedly went with a plumbing contractor to the basement on the day of the explosion after the sushi restaurant's owner called to report a gas smell. The plumber told investigators he had been instructed to alter gas lines, investigators told NBC 4 New York, though it wasn't clear who allegedly told him to do so. Also, on the day of the explosion, a tenant told investigators that on the day Con Edison workers came to check the gas line, the owner's son told her to tell them if they asked that there was no gas in the building at the time. Messages left on a cellphone number for the building landlord and at an office were not immediately returned. The owner's son, whose face was singed along with the plumber's, couldn't immediately be reached for comment. He has previously declined to answer NBC 4 New York's questions. The Manhattan district attorney's office, which has been assisting arson investigators, police and other multi-agency officials in the probe, declined comment Monday. Investigators tell NBC 4 New York prosecutors are reviewing evidence and deciding whether to convene a grand jury in the case. Nicholas Figueroa, a 23-year-old bowling alley worker on a date in the ground-floor sushi restaurant that exploded, and Moises Lucon Yac were killed in the blast. A funeral for Figueroa is scheduled for Tuesday. Lucon was expected to be laid to rest in Guatemala. Inspectors from Con Ed visited the blast building about an hour before the explosion and determined work to upgrade gas service didn't pass inspection, locking the line to ensure it wouldn't be used and then leaving, officials said. The work underway was to put in a bigger line to serve the entire building, Con Ed President Craig Ivey has said. Fifteen minutes later, the sushi restaurant's owner smelled gas and called the landlord, who called the contractor, Chief of Detectives Robert Boyce has said. No one called 911 or Con Ed.